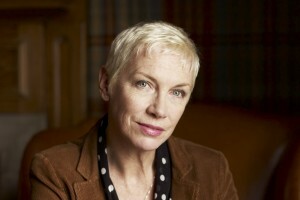 After many years witnessing for herself both the huge injustices and challenges women and girls accross the globe faced and realising that when women come together they organise and become a powerful force of change singer songwriter and activist Annie Lennox founded The Circle. The Circle is a registered charitable organisation of Women Empowering Women and brings around change for some of the most disempowered women and girls in the world by providing four core functions; connecting, advising, amplifying and funding. As part of the awards evening The Circle will be hosting a silent auction, which is already live, to raise funds to support their work. We encourage you to peruse the catalogue which includes a range of items from sport to music and art and everything in between. This includes a signed photographic collage from Annie Lennox, an acoustic guitar signed by Eric Clapton, a Maradona signed football shirt, tickets to the Monaco GP practice day and so much more memorabilia and unique items and experiences. We would encourage you to look at the items before the evening and start your bidding so The Circle can change the lives of more women and girls.